When I talk about self awareness, I see people's eyes glaze over and I hear, "Yeah, yeah, so what..."
What if I told you that you will have better job opportunities, get promoted more often, enjoy your life more, all because you opted to get to know you? Here are 5 reasons self awareness will advance your career more than any other trait. It makes you more approachable. People that know who they are, are more compassionate and accepting of others. It gives you the power to change. When you are aware of what you do well and not so well, you have the ability to improve. You will have more energy. When you are caught off guard and erupt in over reactions, you end up wasting precious resources feeling guilty. Being self aware keeps you in charge of your interpersonal interactions. You know what you want and can set up a plan that will take you there. Being aware means you know what values drive your behavior and what your ideal life/ career looks like. You make better decisions more quickly. This is powerful as a leader and sets you apart. It also demonstrates confidence and increases your influence. Self awareness does not actually come natural to us humans, it is a skill that has to be developed. As children, we have a concept of ourselves based on how other people treat us. This is the basis of our opinion of who we are that can follow us the rest of our lives, unless we opt to update the information. This becomes the model for how we treat our self unless we update it. What was your biggest wake up call that forced you to re-evaluate your life? How did it change your perception of you? Journal. This process of reflection helps you understand the motivation behind decisions and behaviors. Use this at the end of the day to reflect on what worked and what didn't. It is just as important to fully understand what worked well and what you do well as it is to look more closely at what did not work. Assessments. Online quizzes can be fun to identify the color of your personality, however, assessments that help you identify your strengths and your natural instincts to communicate and relate to others will go far to strengthen confidence. Take feedback. It can be hard to listen to what other people are telling you, especially, when it is critical. Rather than reject the comments because they may not be 100% accurate, there are probably parts of it that can help you move from good to great and improve your performance. Curious about your strengths? 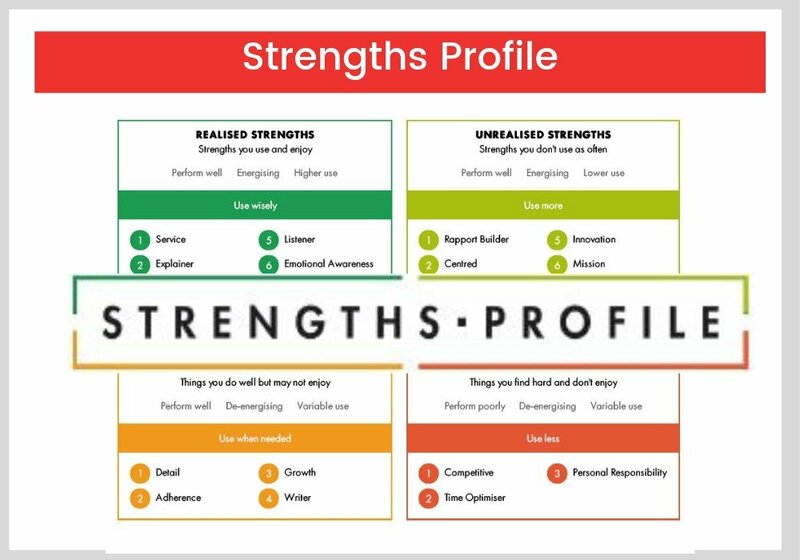 Take our Strengths Profile and discover your Strengths, Learned Behaviors, Unrealized Strengths and Weaknesses. This is a powerful assessment that identifies what naturally energizes you! Previous Post Is Your Boss a Bully? Next Post Signs of Passive Aggressiveness.